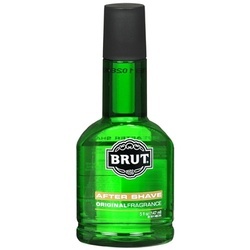 Brut After Shave, Original Fragrance, 5 oz Use on just shaved skin or anytime for long lasting cooling. Splash on after shaving for clean tight skin! A special, non-greasy, milky white emulsion which moisturises, nourishes and protects the skin from after-shave dryness and razor burn. It can also be used as a nourisher after a bath, or before going out. The formulation contains extracts of Calendula, Lavender, Margosa and Sandalwood. We are providing After Shave Lotion to our esteemed clients who are situated all around the world. It soothes the skin after shaving and gives cooling effect to the skin. Our clients can avail these After Shave Lotion at most affordable prices. Our company is manufacturing superior quality Cool Fresh Gel (After Shave Gel). These have proved to be far superior than the rest in reducing bumps and irritation. The ingrown hair growth is reduced to a considerable extent on regular usage. These Cool Fresh Gel (After Shave Gel) are widely available at market in 250 gm, 400 gm and 1 kg and at most competitive prices. After shave is used to soothe a man's skin. It may contain an antiseptic agent such as alcohol to prevent infection from cuts as well as numb damaged skin, a perfume to enhance scent and a moisturizer to soften the skin. Owing to our enriched industrial experiences, we are devoted towards trading a qualitative assortment of Axe After Shave Lotion. We are a prominent name in the domain of supplying After Shave Lotion. 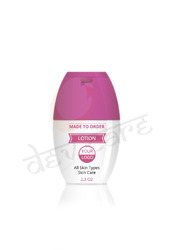 We procure After Shave Lotion from the eminent vendors of the market. After Shave Lotion, supplied by us, is widely appreciated for its refreshing fragrance and healing properties. we offer After Shave Lotion at pocket-friendly prices. Sizes available in : 50 ml, 100ml, 200 ml, 500ml. we provide with the best quality Aftershave Lotion for men which are inimitable in quality. These aftershave lotions are manufactured using the best raw materials and with the use of sophisticated machines and under the hands of experienced experts. These are allergy free, friendly on the skin and provide a manly fragrance. It also helps in retaining freshness for a long time. Nivea for Men Arctic freeze 2 in 1 after shave and gel moisturizer, Cool kick - 2 in 1. A quick and easy way to soothe the skin after shaving while giving your whole face a cool blast of moisture without the burn. Provides shine-free intensive moisturization. Skin compatibility. Dermatologically tested. We are among the leading organizations in the industry for offering an extensive array of After Shave Soothing Lotion to our esteemed clients. Give your skin the new improved skin care as it needs all the goodness it can get after a menacing shave. Mornings are always tricky because everything happens at the fastest pace possible, so you can get to work or college on time, but this can be tough on your shaving routine. Our After shave lotion gives cooling effect required after shaving.